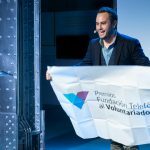 On its 20th anniversary, the Fundación Telefónica wishes to acknowledge and appreciate the value that volunteering contributes to society. 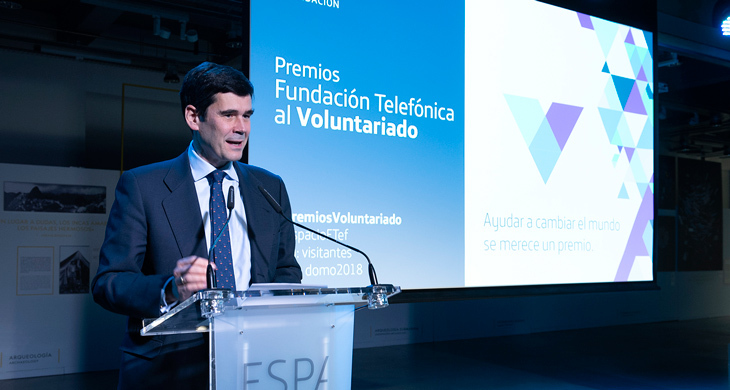 That’s why the Fundación Telefónica Volunteering Awards have been created, to raise awareness and encourage volunteering, as well being a catalyst for volunteering in Spain generally. “In this world there are millions of anonymous people doing great work that must be recognised and valued. Helping to change the world deserves an award”. 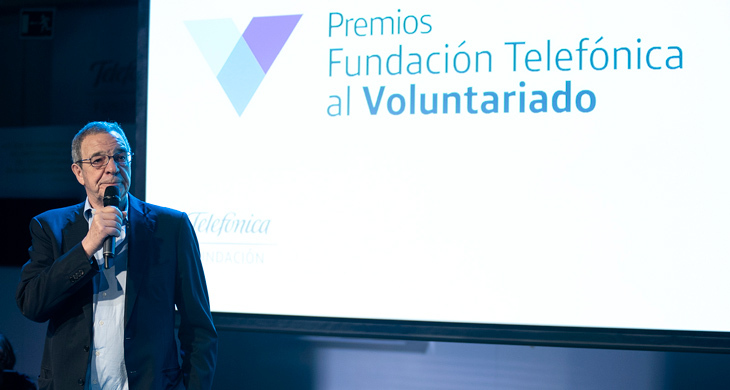 On Tuesday, 4 December, coinciding with the eve of the International Volunteer Day, we held the awards ceremony of the Fundación Telefónica Volunteer Awards. 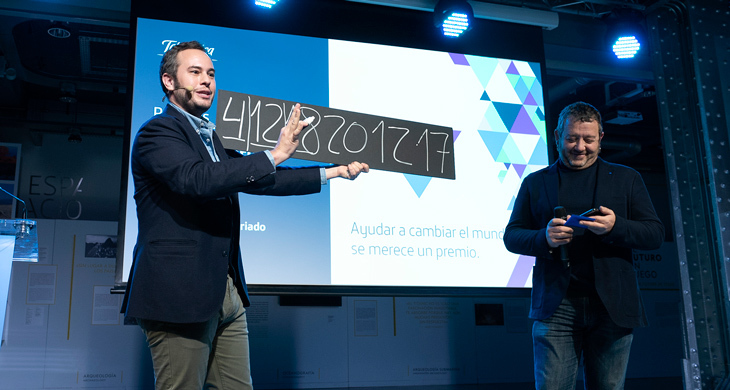 The event took place in the Espacio Fundación Telefónica Auditorium, with the magician Jorge Blass as master of ceremonies. 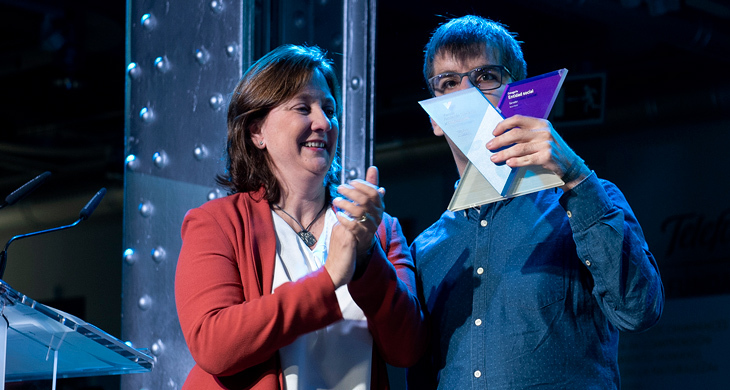 It was a magical night when we found out the names of the winners of each of the categories, who received a €5,000 award to reinvest in their projects. 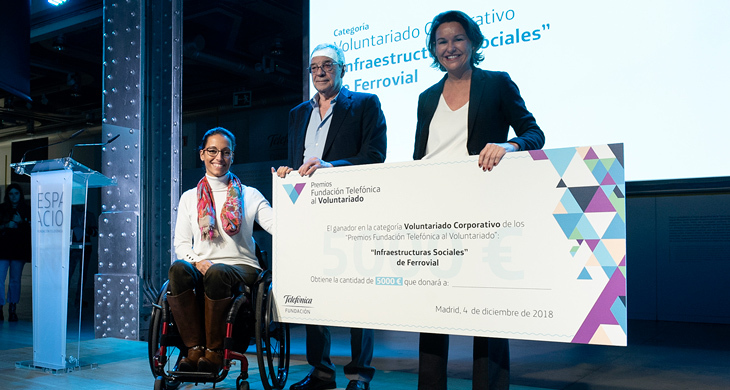 The event was also attended by some of the panel of judges, such as Anne Igartiburu, TV presenter; Teresa Perales, Paralympic swimmer and the Fundación Telefónica Ambassador; Luciano Poyato, President of the Volunteer Platform in Spain and President of the Plataforma del Tercer Sector; and Vicente del Bosque, former coach of Spain’s national football team. 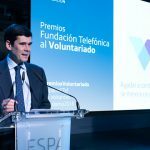 In addition, we welcomed César Alierta, Chairman of Fundación Telefónica and Chairman of the Panel of Judges; and José María Sanz-Magallón, Managing Director of Fundación Telefónica and Secretary to the panel. 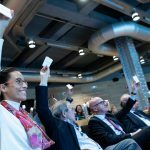 All had gathered on Monday, 19 November to select the three project finalists in each category from the 339 nominations submitted. 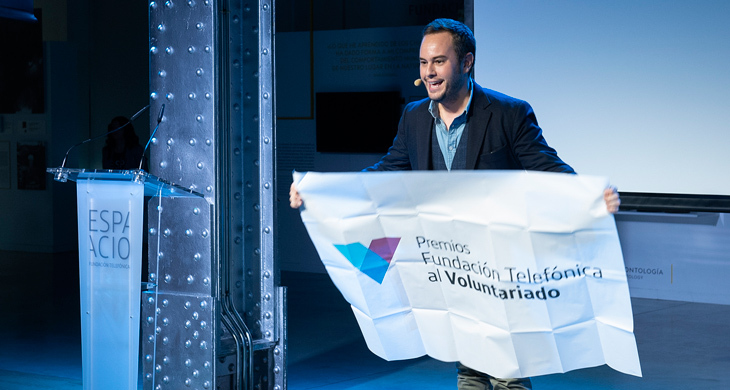 All the latest news on the awards can be followed on the hashtag #PremiosVoluntariado. 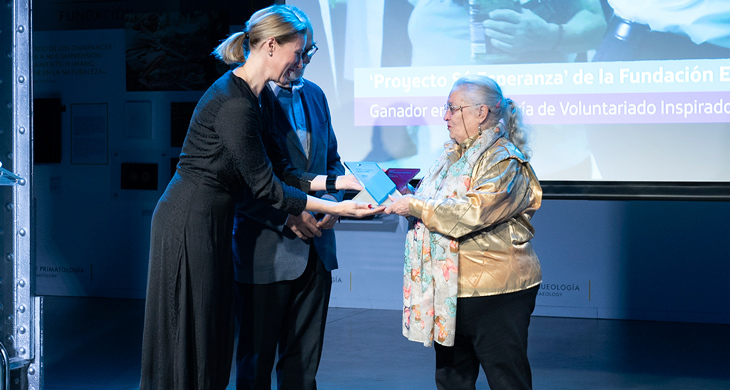 Esperanza Castro García, a resident of the Pozo del Tío Raimundo neighbourhood, began her charitable work at the age of 15. Today she makes it possible for more than 700 local residents to eat a decent meal everyday. “The prize money will be used for the ‘Food Bank’ Project because we have a waiting list and with this money we can help out more people”. This is a project that promotes scientific-technological vocations amongst girls. Based on awareness and orientation activities, it is provided by women professionals who volunteer their time to primary school students. 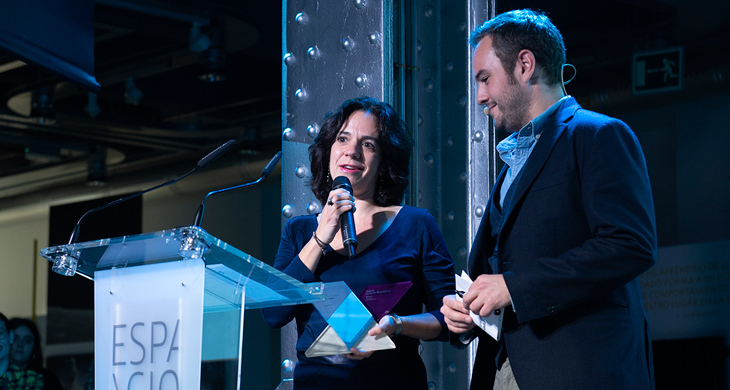 “Thank you for this award and thanks to all those women who volunteer and inspire girls in science and technology”. 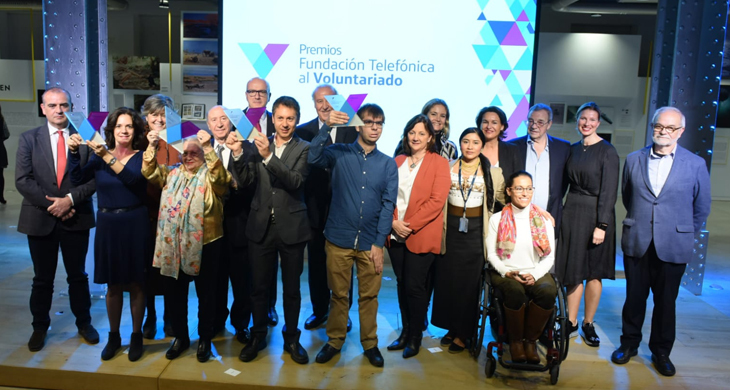 This project provides the necessary support so that people with Down’s syndrome or other intellectual disabilities can carry out volunteer activities in third sector bodies, thus promoting their integration and commitment to society. 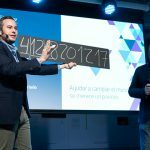 “We have received the award with great enthusiasm. I hope to encourage people to do volunteer work because it is wonderful and fun”. 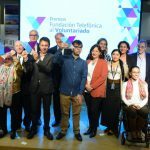 This is a programme of RTV Castilla-La Mancha that portrays the many people who make an effort every day to try and help others. 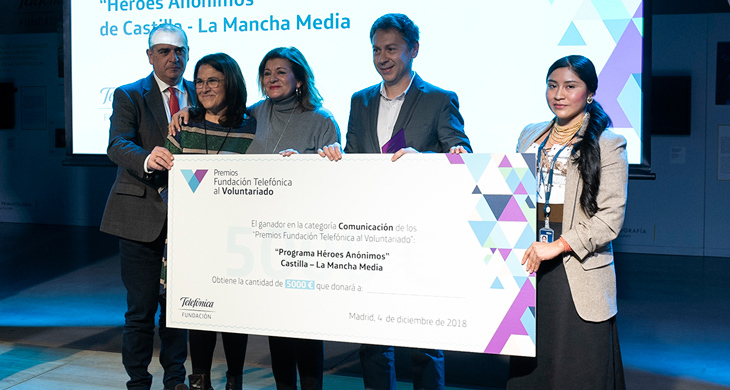 “In Héroes Anónimos (Unsung Heroes) we place our focus on the human being, on those unsung heroes who try, through their daily work and efforts, to change the world for the better”. 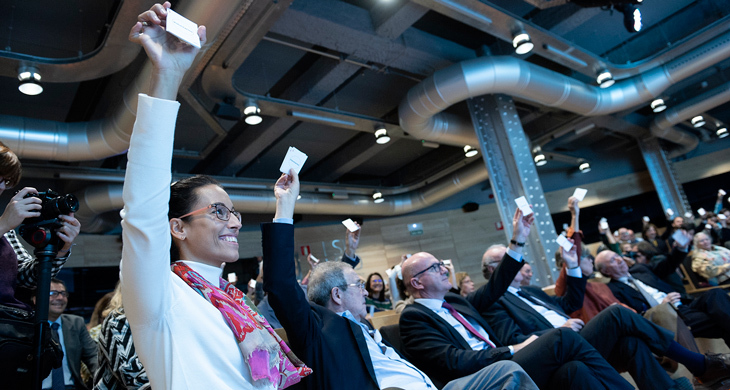 An initiative that improves and extends access to water and sanitation in vulnerable communities across Africa and Latin America, providing funds and technical support through corporate volunteering. 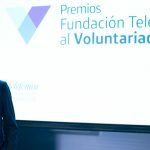 “This award goes to all our volunteers who travel to local communities and offer their professional skills to the development of drinking water projects in vulnerable areas”.